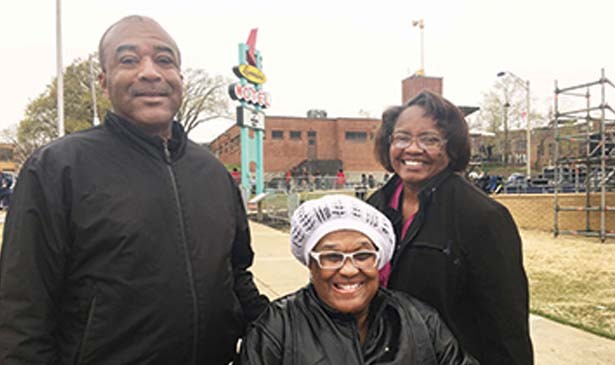 MEMPHIS, TN — Among thousands visiting the National Civil Rights Museum at the Lorraine Motel this week was a woman who didn’t feel safe in her hometown after Dr. Martin Luther King Jr. was assassinated. Dr. King’s assassination changed her life. She didn’t feel safe anymore. Mrs. Castle was living in Lakeview Gardens at Melrose Cove. She remembers Dr. King as a person who was outgoing and a master of public speaking. Mrs. Castle’s son, Frank Williams Jr., said his mother took her family to the museum at the Lorraine Motel more than twice. They had already seen the room where King had been staying. Williams, his wife, Doretha, and his mother say they appreciate the quality of life they have because of Dr. King.